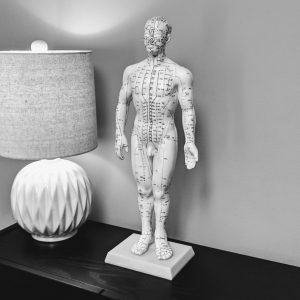 When someone is considering acupuncture, a question commonly asked is, “does acupuncture hurt.” Some people say that they are afraid of needles. They may be afraid to try acupuncture. They may not even think that acupuncture is an option for them. By explaining more about how acupuncture works and what to expect, I usually can relieve most of these fears. So acupuncture is based on ancient Chinese medicine theory that the body has its own energy flow along specific pathways throughout the body. An acupuncture model illustrates the 365 acupuncture points and the meridians of the human body. Specific points correspond to specific treatments for a given condition. Other points have different effects. In my office, I usually only needle 10 to 12 points per session. In effect, I am only treating those few points which are most effective for a certain condition. The conditions most common to my practice at Cole Pain Therapy Group are low back pain, headache, neck pain, digestive issues, infertility, overall stress management. The number one side effect that people report after acupuncture is that they feel relaxed and sleep better. It is typical that when someone is living with pain, yet finally gets relief with acupuncture, they are able to rest and relax better. When people think about needles, they may invision needles for injecting medicine or drawing blood. Yet acupuncture needles are very different. Some acupuncture needles are so small they are hard to see. Acupuncture needles are about the width of the human hair. Acupuncture needles are solid. They are not hollow because nothing is being injected and nothing is going through the needle. Larger needles for injections or drawing blood or sharper and thicker. What does acupuncture treatment feel like? Most patients do not feel anything when an acupuncture needle is inserted. In fact, as I begin placing needles, I ask someone how they are doing . They may be surprised to find out that I have already placed several needles. Other times one feels a tiny little pinch when the needle first goes in, but that sensation quickly goes away. In this video, Dr. Holly Tucker demonstrates her standard acupuncture needles, needle sizes, and its application for treating various parts of the body. She also discusses auriculotherapy.